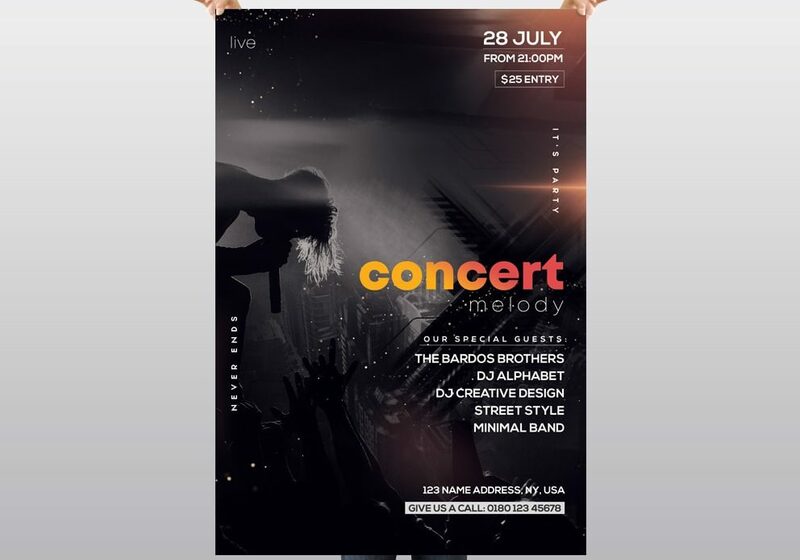 Download Concert Melody PSD Flyer Template for Free. This creative music flyer template is available as a freebie photoshop template. PSD File is suitable for any Concert, Festivals, Club Party, DJ, Dance, Concert, Elegant event & other business purposes.